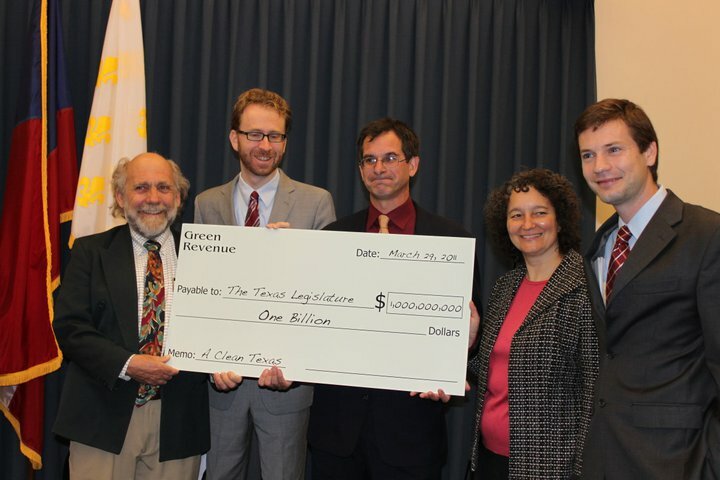 While Texas Legislators are furiously looking under every couch cushion to find more revenue this bienium, the Alliance for Clean Texas today highlighted a half dozen strategies that could help Texas close its $27 billion budget deficit. 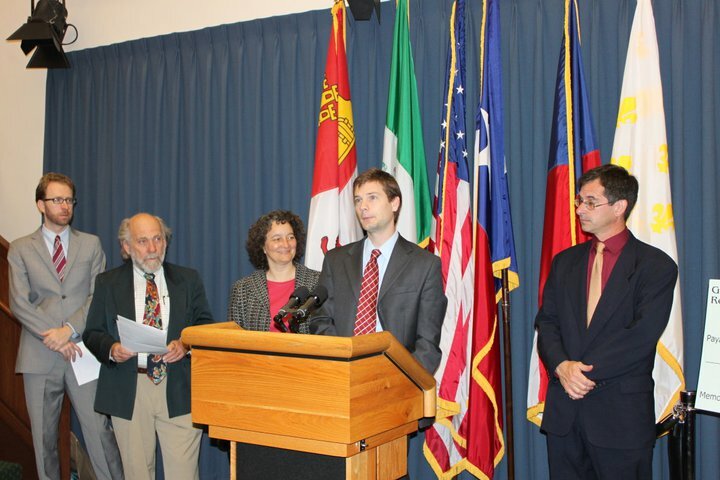 As lawmakers are loathe to talk about the dreaded “T” word (tax), groups like Public Citizen, Sierra Club, Texas Impact, Texas Campaign for the Environment, and Texas League of Conservation Voters, who sponsored this morning’s press conference, are offered alternative solutions to cutting needed education and health care services by raising $1 billion in revenue, while also protecting the environment. These ideas include a severance tax, like oil and gas currently pay, for coal mined in the state and an import duty from out of state coal. Imported coal creates zero Texas jobs and pollutes the environment. If we’re going to ask oil and gas to pay a severance tax, we ought to ask coal to do the same. Other ideas include making polluters pay the value they get from breaking clean air and water laws (ie, if by polluting you increase your profit by $15 million, you pay $15 million in fines), a surcharge on inefficient gas guzzlers and heavily polluting vehicles, and a recycling refund on bottles and cans (just clap your hands, just clap your hands!). Cutting pollution would also mean fewer sick kids, fewer sick people in general. Children and the elderly are most at risk for pollution-caused or -aggravated disease AND they are the most likely to receive assistance from government health care services, so cutting pollution will save the state untold millions, if not billions. AND, since sick children are less likely to attend and be successful in school, cutting pollution also improves the quality of our schools– a triple value for our pollution-cutting dollar! Combine this with former Lt. Governor Hobby calling on the state to end the tax credit on high-cost drilling operations (read: fracking) valued at $7.4 billion between 2004 and 2009. We had previously pointed out the hypocrisy of making the oil and gas industry’s culture of corporate welfare the only sacred cow in the budget due to their protected status resulting from all their campaign contributions. State lawmakers who are serious about balancing the budget without brutalizing our schools, nursing homes, and hospitals ought to look carefully at these proposals and implement them. Even in the coldest, darkest winter, a farmer cannot start eating his own seed, as it will impact his ability to plant in the spring. Cutting necessary services to the bone and then sucking out the marrow will leave Texas cupboards bare, both literally and figuratively, as we struggle out of this recession. The answer is simple- cut pollution, not teachers, doctors, and nursing home beds. Don’t let big polluters get their way, forcing grandma out onto the street and your kids into overcrowded classrooms. The Texas House will be taking up HB 1, the budget, this Friday, and debate is expected to last all day and into the night. Texas Impact, one of our colleagues in ACT, along with several other groups are organizing a vigil for Texas’ future during the debate. RSVP on Facebook and we’ll see you there!